Christopher K. LeMieux is a founding partner of the firm. Prior to starting the firm, Chris served as general counsel and an executive committee member for a regional design builder. 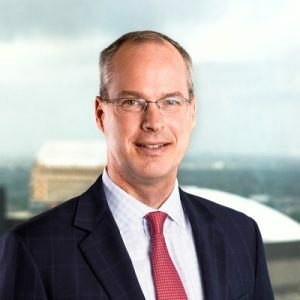 During his seventeen-year career, Chris has represented contractors, architects, engineers, owners, sureties, insurers and subcontractors in litigation, arbitration, claims, disputes and negotiations and drafting of construction contracts for a variety of projects, including design build, integrated project delivery, multifamily, military, stadiums, manufacturing facilities, historic renovations, parking garages, and mixed residential use facilities. In addition, he has represented employers in a wide variety of employment matters including employment training, wage and hour, ADA, FMLA, and Title VII. Chris regularly lectures on construction and employment law. Represented a civil contractor in prosecuting multi-million dollar delay and cumulative impact claim arising from changed project conditions and defending against owner’s delay claims. Obtained multi-million dollar judgment on behalf of General Contractor for Contract Balance. Represented numerous Public Works Act bidders in successfully challenging responsiveness of multi-million dollar bid. Obtained a rescission of a default and termination of a General Contractor on a Public Works Act Project. Obtained a dismissal for a Subcontractor in a multi-million dollar structural slab failure case. Obtained a defense verdict in favor of a Contractor to claims of property damage allegedly caused by vibration. Obtained a defense and indemnity Judgment in favor a general contractor and against a Subcontractor’s Commercial General Liability Carrier. Represented engineering company related to delay, disruption and defective design claims on a multifamily project. Represented a Subcontractor against General Contractor and Builder’s Risk Carriers for damages sustained during Industrial Project. Represented subcontractor on a federal project prosecuting and defending delay and multi-million dollar extra work/change order claims. Represented General Contractors on claims by owners alleging building envelope leaks. Represented Architects and General Contractors on claims by Hotel Owners regarding alleged deficiencies in the design, renovation, and construction of hotels. Represented architects, contractors, and engineers regarding licensing requirements and alleged violations. Negotiated and prepared numerous construction, design build, construction management, architectural and IPD agreements associated with commercial, industrial, civil, retail, condominiums, manufacturing, multifamily, parking garages, and mixed use projects. Retained as lead counsel on internal investigations involving harassment, theft, and numerous violations of company policy. Retained as lead counsel for Title VII, ADA, and FMLA claims nationwide.